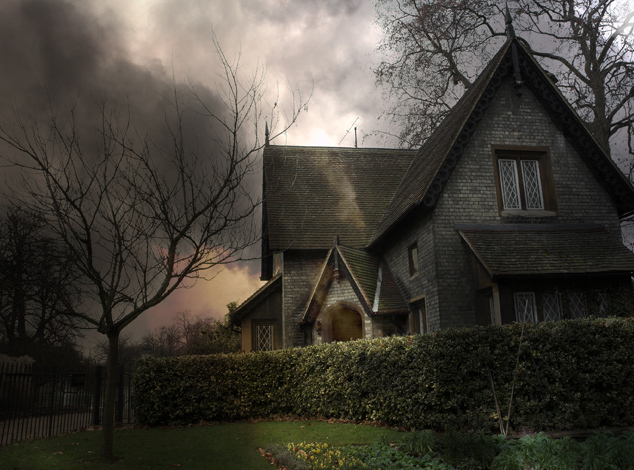 Ghosts and ghouls are not the only thing homeowners should be concerned about this time of year. Roof damage can be just as scary as anything else you will experience this Halloween. And it’s not just the initial damage incident to be concerned about. You should be concerned about the after effects and implications of the damage. We all know that your roof is one of the biggest and most important areas of your home. While many people tend to get fixated on other areas of their home, perhaps because they are more visible, your roof can pose just as many threats to your home. One thing that makes roof damage particularly important is that it can lead to damage and issues in many other areas of your home. For example, if a roof leak develops and goes unnoticed for a period of time, this leak can not only erode your insulation and get into your attic, it can lead to the development of mold and water issues in other areas of your home. This means that a single instance of roof damage can create more issues and repairs than most realize. Many homeowners assume that their insurance company will cover all types of roof damage, but this is not the case. While most policies will cover weather-related damage from wind and hail, there is the potential your claim could be denied if you have failed to upkeep your roof and perform regular maintenance. Be aware of your insurance coverage limitations and which types of roof damage is covered. Roof damage happens to many homeowners. Sometimes you can control it, other times it’s out of your hands. But one thing you have total control over is what you do once you notice the damage. The longer you wait to repair roof damage, the more the damage could spread to the roof and to other areas of your home. The longer you wait could also increase the difficulty and cost of the required repairs. Even though roof damage can be scary, taking a look up top on a regular basis can help you identify potential issues and address them right away – before they become even scarier, more costly repairs. Suspect Roof Damage? Give Us a Call! If you suspect you may have some roof damage, don’t hesitate to give us a call to come out and take a look. Getting a professional inspection is always your best option. Contact us today to get a free estimate.